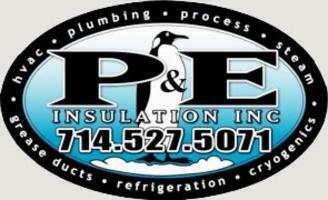 Founded in 1999, P&E Insulation has acquired over 20 years of experience in the Mechanical Insulation industry. We specialize in HVAC, Plumbing, Process, Steam, Grease Ducts, Refrigeration, and Cryogenics. We insure that our customers get the appropriate pricing that fits their budget and financial needs, while also minimizing cost exposures. Our agile business is what sets us apart from other competitors in our industry. Clients deal directly with the owners of the company to facilitate decisions in a timely manner. Sales Estimating; oversees bidding process to ensure fair and competitive pricing. Operations; oversees all projects, handles field labor, dispatches employees and reviews each job to assure it’s completion.